28/01/16 -- Soycomplex: Beans closed lower after China cancelled a purchase for 395,000 MT of US beans for 2015/16 delivery this morning. Some are suggesting that this may have been part of the huge "showcase" deal done in late 2015 being switched to Brazil. MDA CropCast were unchanged on their global soybean production forecasts, with Brazil at 98.7 MMT and Argentina at 60.6 MMT. The Buenos Aires Grain Exchange said that Argentine soybean planting is finished, and see production at 58 MMT, down 4.6% on a year ago. US weekly export sales are delayed until tomorrow, with these expected to come in at around 500,000 to 800,000 MT on beans as sales continue to grind seasonally lower. Mar 16 Soybeans settled at $8.67 3/4, down 15 1/4 cents; May 16 Soybeans settled at $8.70 1/2, down 14 3/4 cents; Mar 16 Soybean Meal settled at $266.90, down $5.60; Mar 16 Soybean Oil settled at 30.69, down 18 points. Corn: Corn closed around 3-4 cents lower, dragged down by declining soybeans. There's talk of Chinese importers having already booked 20 cargoes of corn for Q1 2016 shipment, but that almost all of that is thought to be of Ukraine origin, only 1-2 cargoes are likely to be US. The Buenos Aires Grain Exchange say that corn planting there is 95% complete, on an anticipated total area of 3.1 million ha. MDA CropCast cut their global corn production estimate by 1 MMT thanks to dryness in South Africa where they now see the crop at only 6.8 MMT, down 35% versus 10.5 MMT a year ago. Tomorrow's one day delayed weekly export sales report for corn is expected to come in at around 800,000 MT to 1.0 MMT. In the EU, corn imports approved this week were 209 TMT, back into "normal" territory compared with the 941 TMT worth passed a week ago. Mar 16 Corn settled at $3.65 1/2, down 3 3/4 cents; May 16 Corn settled at $3.70 1/2, down 4 cents. Wheat: The wheat market closed lower. There's been no clarification out of Russia, but the market is starting to think that there will be no hinted at "tightness in restrictive measures" on wheat exports to come, but rather a relaxation of them. South Korea booked 20,000 MT of Argentine wheat and Taiwan purchased 41,300 MT of US wheat this morning, while Japan cancelled their regular weekly tender for US, Canadian, Australian wheat. MDA CropCast cut their Canadian wheat production estimate by 0.27 MMT to 25.0 MMT in 2016/17 due to reduced plantings. Russia forecast their 2016/17 grain crop at 104 MMT. Tomorrow's weekly US export sales report is estimate at around 250,000 and 400,000 MT. The Buenos Aires Grain Exchange said that their 2015/16 wheat harvest is over at 10.3 MMT. May 16 CBOT Wheat settled at $4.78, down 4 1/4 cents; May 16 KCBT Wheat settled at $4.75 1/2, down 2 1/2 cents; May 16 MGEX Wheat settled at $5.00 1/4, down 1 cent. 28/01/16 -- EU grains traded mostly lower. Ideas that Russia's next move on wheat exports will be to axe the current duty entirely, are gaining momentum. That has the remaining old crop London wheat contracts setting fresh contract lows. 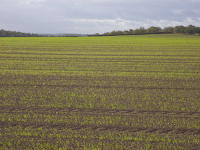 At the finish, Mar 16 London wheat was down GBP0.40/tonne at GBP108.60/tonne, Mar 16 Paris wheat was EUR1.25/tonne lower at EUR164.50/tonne, Mar 16 corn fell EUR0.50/tonne to EUR154.50/tonne and Feb 16 rapeseed was down EUR2.50/tonne to EUR360.00/tonne. Fresh news was limited. Feb 16 Paris rapeseed goes off the board tomorrow and May 16 becomes the new front month. The differential between those two contracts tonight is 0.9%. It is interesting then to note that on Paris corn difference between the two nearby months is 5%, in Paris wheat it's 3.3% and in London wheat it's 2.2% - and in all these case this is comparing two old crop months with each other. The market clearly thinks that if you were to put a gun to it's head and force it to carry anything then it would pick rapeseed right now (all the others are offering new crop premiums of between 3.4% in corn to 9.7% in London wheat). News out late confirms weekly EU soft wheat export licences at 822 000 MT, up 61% on a week ago, taking the total granted so far to 14.845 MMT, down 11% versus 16.715 MMT last year at this date. Barley exports of 147 TMT were also announced, taking the season to date total to 6.1 MMT, up 19.6% compared to 5.1 MMT this time a year ago. Corn imports approved this week were 209 TMT, thankfully much lower than the 941 TMT worth passed a week ago. Morocco tendered for 105 TMT worth of optional origin soft wheat. MDA CropCast today lowered their forecast for wheat production there this year to 7.0 MMT, down 12.5% on a year ago due to dryness. Chinese think tank CNGOIC said that Chinese importers would probably ship in around 3.5 MMT of corn this year. They've already contracted around 1.2 MMT of that to be shipped in Q1, of which most will be of Ukraine origin, they say. Russian officials forecast the 2016 grain crop there similar to last year (just like they always do at this time of year!) at 104 MMT. They said that spring plantings would be completed on 30.8 million ha. 27/01/16 -- Soycomplex: Beans closed lower, giving up their Turnaround Tuesday gains. There's continued talk that all is not well with Brazil's crop - even if production expectations are still at record levels. Mato Grosso's IMEA said that 30% of the state's soybean crop is rated poor to very poor, 41% average, and 29% good to excellent. "The worst rated soybeans are those that were planted in September and October because those soybeans received the full brunt of the hot and dry weather during November and December. In some of the hardest hit areas, the crop went as much as 40 days without a rain while the temperatures were very hot," says Dr Cordoniier. "The soybean harvest has started in central Mato Grosso where 40% of the state's soybeans are grown and the yields being reported are extremely variable from a low of 10 sacks per hectare (9 bu/ac) to a high of 60 sacks per hectare (52 bu/ac). The unusual thing this year is that the high and low yields may only be a few miles apart due to the irregular distribution of the rains this growing season," he adds. It would seem that the only thing we can be sure about is that the debate over exactly what size crop they do have this year could rage on for some time yet. The regular Thursday weekly export sales report from the USDA has been delayed a day until Friday due to Monday's "white-out" that closed government offices in Washington. Mar 16 Soybeans settled at $8.83, up 6 1/2 cents; May 16 Soybeans settled at $8.85 1/4, up 6 3/4 cents; Mar 16 Soybean Meal settled at $272.50, up $2.60; Mar 16 Soybean Oil settled at 30.87, up 13 points. Corn: The corn market closed with changes of less than a cent either way as it has very other day this week so far. This sort of price action highlights farmer reluctance to sell at these levels but also (as we have seen this week with wheat) suggests that you need some sort of "scare story" to spur some fund short-covering if you want the market up. The US Fed said that they were keeping interest rates on hold, which surprised nobody. The did however add that they would not rule out an increase to interest rates in March. That would lead to renewed dollar strength and cause subsequent damage to exports at a time when season to date corn inspections are already down 21.5% from last year. The USDA currently only forecast full season corn exports to decline 7%, so a stronger dollar isn't likely to help any of that lost ground get made up. The Energy Dept reported weekly US ethanol production had fallen 22,000 barrels/day to 961,000 barrels/day from the previous week, and the lowest level of output since late November. In Brazil, safrinha corn planting has been delayed by recent wet weather and the slow early soybean harvest. "The ideal planting window for safrinha corn generally closes about the 20th of February, although some farmers continue to plant corn until about the 10th of March," says Dr Cordonnier. That gives crops enough chance to develop and become established before the dry season kicks in during May. "By far the biggest safrinha crop in Mato Grosso is corn and farmers in the state have only planted approximately 1.3% of their intended safrinha corn crop compared to 3.1% a year earlier," he adds. Mar 16 Corn settled at $3.69 1/4, unchanged; May 16 Corn settled at $3.74 1/2, also unchanged. Wheat: The wheat market closed lower on what looks like profit-taking following decent gains. The trade is getting more confused by the day over the lack of clarity coming out of Russia concerning it's supposed plans to "tighten restrictive measures on grain exports" - reported earlier in the week on Reuters. Whist the market initially took this as a sign that this might mean reduced wheat exports as the government try to protect the domestic livestock sector from feed price increases, others are now saying that the duty might be decreased, or at least the level at which it kicks in altered to more accurately reflect current grain market/forex rates than those that apply at the moment. A meeting between Russian officials is scheduled for Friday to potentially clarify the matter. Elsewhere, Reuters reported that inspectors from Egypt's GASC had arrived in the Argentine port of Bahia Blanca to approve the first shipments of wheat from Argentina in more than three years in deals done late in 2015. Nobody seems sure of the fate of the French vessel that has been waiting near Egypt’s Damietta port since Dec. 21, according to Bloomberg, apparently rejected on the ground of ergot contamination. Jordan purchased 100 000 MT of hard wheat, of optional origin. Algeria were said to have bought 150,000 MT of optional origin feed barley, with French and possibly even UK material featuring in the mix. AAFC in Canada said that the country's spring wheat acreage may be down 2% this year. May 16 CBOT Wheat settled at $4.82 1/4, down 7 3/4 cents; May 16 KCBT Wheat settled at $4.78, down 9 cents; May 16 MGEX Wheat settled at $5.01 1/4, down 7 1/2 cents. EU Grains Back In The Red, Confusion Over Russian "News"
27/01/16 -- EU grains were mostly back in the red again today, save for rapeseed which was mostly higher, getting a little boost from firmer US soybean prices. 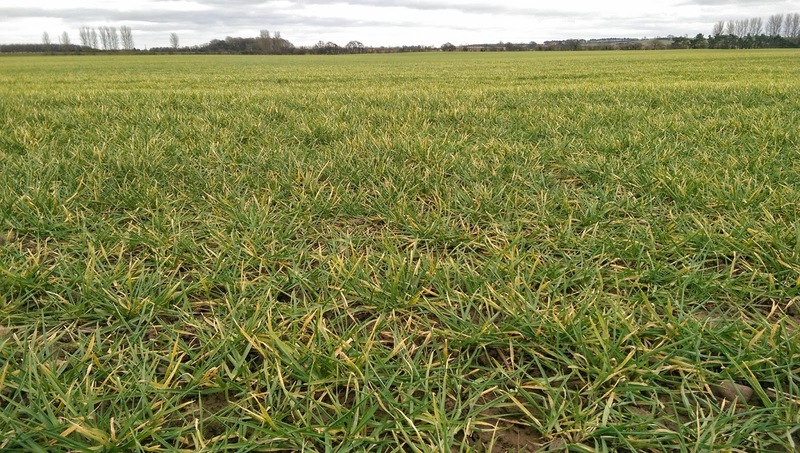 At the finish, new front month Mar 16 London wheat was down GBP1.45/tonne at GBP109.00/tonne, Mar 16 Paris wheat fell EUR2.75/tonne to EUR165.75/tonne, Mar 16 corn was EUR1.75/tonne lower at EUR155.00/tonne and Feb 16 rapeseed eased EUR0.25/tonne to EUR362.50tonne. The notion that the ever declining value of the Russian rouble might lead Russia to tighten export restrictions on wheat is what has spooked the market a little this week. The "announcement" such as it was came merely as one of an assorted list of pontifications that are released by the Russian leadership just about every day, and this wouldn't be the first one that's had it's meaning altered in translation. 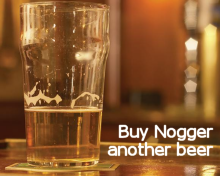 Such is the market that we operate in. "This morning the Russian First Deputy Agricultural Minister has said that Russia will actually consider a cut or removal of state wheat exports but may impose duties on barley and maize exports," the HGCA said. So what's going on? The truth is simply that we really don't know. For now it looks like Russia's 2015/16 wheat exports are running around 3% lower at 21.34 MMT, with wheat shipments at around 16 MMT (to Jan 20). The Russian Ag Ministry say that calendar year 2016 grain exports will total 30 MMT, down 8.5% compared to 32.8 MMT in 2014/15. The USDA's figures on Russia are pretty similar. They have 2014/15 wheat exports at 23.5 MMT (versus 22.8 MMT last season), barley at 3.8 MMT (3.2 MMT) and corn shipments at 3.8 MMT (3.2 MMT). That gives us combined "grain" exports, excluding the likes of oats and rye, at 30.3 MMT this season, a 4.7% drop on a year previously. Essentially then, this latest "news" doesn't really look like a game changer on a global level - the volumes we are talking about are too small, and there are too many other eager sellers only too willing to step into the breach. It does however serve as another useful reminder of what heavily short fund money can do to a market like Chicago wheat. Meanwhile there are reports that one of the three French wheat cargoes sold to Egypt's GASC that got held up prior to Christmas awaiting letters of credit, is still waiting for customs clearance due to the presence of an unspecified (but probably minute) quantity of ergot. GASC recently introduced a zero tolerance on ergot. It will be very interesting to see just how over-susbcribed future GACS tenders are, and also what prices they attract. They are doing themselves no favours here. 26/01/15 -- Soycomplex: Beans closed lower, essentially reversing Tuesday's gains. Argentine farmers are said to be 86% sold on old crop beans (versus 78% a year ago) and 6% done on new crop (5% a year ago). "The potential for corn and soybean (production) is favorable in Argentina better even than a year ago based on the updated satellite images," say Martell Crop Projections. "We wonder if the excellent vegetation may be subject to decline. With the El Nino in a weakening phase, rainfall may taper off in February the period when rainfall matters the most for Argentina soybeans -- the influential key pod filling stage. The El Nino is a heavy rain maker for Argentina, but its gradual demise may lead to drier weather in the weeks ahead," they add. Brazilian weather is vital over the next few weeks as the crop continues through its critical pod-filling period. The 6-10 day forecast has above normal temps for much of the Brazilian soybean growing area, with normal to below normal precipitation for much of the Center-West, and South East production areas and continued above normal rainfall for the south of the country and northern Argentina. 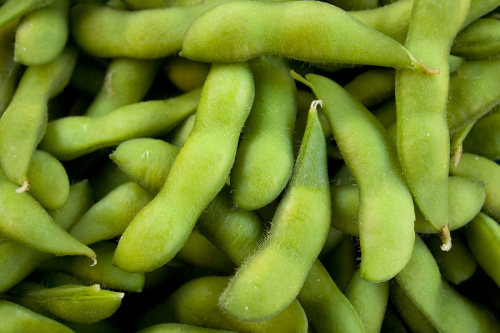 Mar 16 Soybeans settled at $8.76 1/2, down 4 cents; May 16 Soybeans settled at $8.78 1/2, down 3 1/4 cents; Mar 16 Soybean Meal settled at $269.90, down $2.60; Mar 16 Soybean Oil settled at 30.74, up 30 points. Corn: The corn market closed a touch lower. Argentine farmers are said to be 94% sold on old crop corn (98% a year ago) and 16% done on new crop (19% a year ago). Drought has caused irrecoverable corn crop losses in some areas of Argentina, according to the Rosario Grain Exchange. Around 8% of the planted area could be affected by temps as high as 33C and lack of rainfall, even though northern areas remain too wet. Chinese customs data show that the country imported 133,117 MT of corn in December, down 78% from Dec 2014. Total 2015 calendar year corn imports however were 4.7 MMT, up 82% on the previous year. DDGS imports in 2015 total 6.82 MMT, up 26% compared to 2014. Ukraine said that their 2015 corn crop finished up at 23.2 MMT, an 18.1% drop compared with a year previously. Algeria said that their 2015 corn harvest was 4.41 MMT, up 7.6% versus 2014. Tender news was thin today, with Asian buyers spoiled for choice between cheap Black Sea and South American supplies. The ever-strong dollar continues to hurt US export hopes. Crude oil was down again and continues to flirt with the $30/barrel area. Mar 16 Corn settled at $3.69 1/4, down 1/2 cent; May 16 Corn settled at $3.74 1/2, down 1/4 cent. Wheat: The market closed firmer, but off the intra-day highs. Wheat got support from short-covering, prompted no doubt by sudden concerns that the weakness of the Russian rouble might lead the Russian government to tighten export restrictions on grains. A short-covering rally seems to be this market's best hope at the moment. 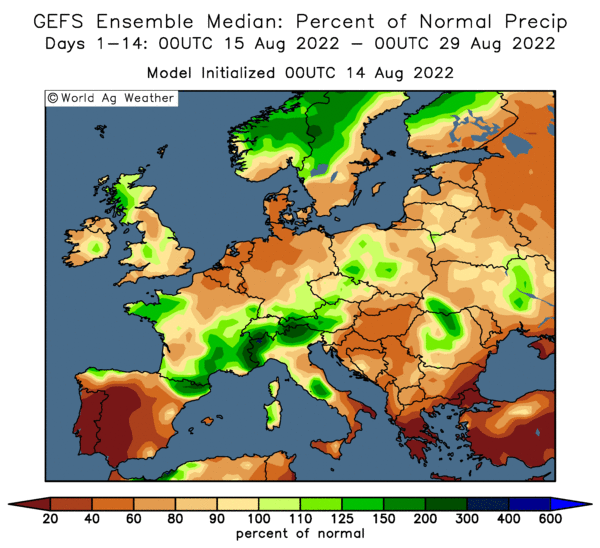 The EU's MARS unit said that sudden sharply below zero temps in late December may have caused some winter-kill damage to crops left insufficiently hardy following a very benign (up until then) autumn and early winter. "The coldest weather of the winter season has developed in Europe driving temperatures down to 20 F in Paris, France, and minus 5 F in southern Romania and Bulgaria. The cold wave was more intense in Ukraine and Russia, where an Arctic cold wave brought frigid temperatures not seen for several years," said Martell Crop Projections. Meanwhile "Temperatures in Ukraine and Russia have plummeted from a large Arctic air mass moving in from the northeast. Night minimum temperatures fell as low as minus 30 to minus 35 C (-22 F to -31 F). Temperatures this cold have not been seen in several years. Bitter cold was promoted by a thick layer of snow that radiating heat to the open sky," they added. The Argentine Ag Ministry has growers there 26.5% sold on their 2015/16 wheat versus 48.6% committed a year ago. May 16 CBOT Wheat settled at $4.90, up 3 1/4 cents; May 16 KCBT Wheat settled at $4.87, up 2 3/4 cents; May 16 MGEX Wheat settled at $5.08 3/4, up 3 3/4 cents. 26/01/16 -- EU grains finished mixed, but mostly a touch lower. It was the turn of Paris grains to get a little currency boost from a weaker euro today, with the pound popping back up above the 1.30 level versus the single currency. At the close of trading, Mar 16 London wheat was up GBP0.15/tonne at GBP110.45/tonne. 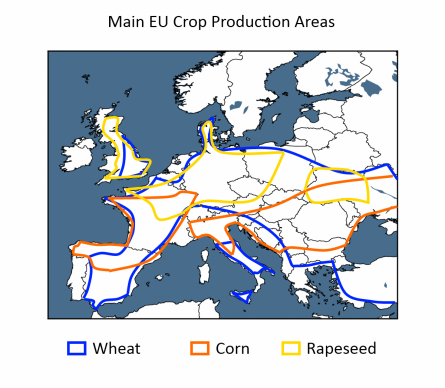 In Paris, Mar 16 wheat rose EUR1.50/tonne at EUR168.50/tonne, Mar 16 corn was up EUR0.50/tonne at EUR156.75/tonne and Feb 16 rapeseed was up EUR2.75/tonne to EUR362.75/tonne. In its first report of 2016, the EU Commission's MARS Unit said that a lack of hardiness caused by the "extremely mild weather of last December" and "an intense cold air intrusion started on 29 December 2015 in the eastern half of Europe" may have caused some crop damage. "The sharp temperature drop combined with shallow (1-5 cm) snow cover, primarily in Poland and western Ukraine, caused some frost injuries as simulated by the model. This cold spell lasted until 6 January, and the most severe frosts reached -15 and -18°C in this region. Slight or moderate frost-kill damages are predicted in eastern Poland, the Baltic States, western and southern Ukraine, Moldavia, south-western Belarus, north-eastern Romania and some regions of southern Russia. "The possibility of minor frost-kill damages also exists in some spots of Sweden, Finland, Bulgaria and Turkey. As far as the weather forecast is concerned, no additional frost-kill damages are indicated by our model until the end of January," they added. Their next report is due on Feb 22. The Ukraine Ag Ministry said that the country had finished 2015 with a total grain harvest of just under 60 MMT, some 6% down on a year previously. That includes 26.5 MMT of wheat (-10%), 8.3 MMT of barley (-8.5%) and 23.2 MMT of corn (-18.1%). Ukraine's 2015 OSR crop ended up at 1.7 MMT for a year-on-year decline of 20.8%. Ukraine said that it had exported almost 24 MMT of grains this month, including 10.9 MMT of wheat, 8.95 MMT of corn and 3.93 MMT of barley. The market is still trying to weigh up Russia, and what it may, or may not, do next as far as it's current export duties are concerned on wheat. The notion that they might restrict exports further, at a time when fund money already has a sizable short position in Chicago wheat, could stimulate some supportive buying - even if US wheat is likely to see little direct export benefit. Rusagrotrans estimated the country's Feb grain exports at 1.4 MMT, down from 1.5 MMT this month, and far lower than the record 3.85 MMT shipped out in December. On the international tender front, Algeria are in the market for 50,000 MT of feed barley. 25/01/16 -- Soycomplex: Beans closed around 4 cents higher. Weekly export inspections of 1.197 MMT were down on last week and the corresponding week in 2015, but still fairly decent. Marketing year to date inspections are now 11.6% smaller than 2014/15. AgRural said that the Brazilian soybean harvest in is 1.5% complete compared to 3.5% last year and 2% for the 5-year average. Top state of Mato Grosso is 3.6% harvested compared to 7.4% last year. "In the municipality of Campo Verde, which is located in southeastern Mato Grosso, 10% of the soybeans have been harvested, but another 20% of the crop has been ready for harvest for at least 15 days, but wet weather has kept the combines out of the fields," says Dr Cordonnier. Mar 16 Soybeans settled at $8.80 1/2, up 4 cents,; May 16 Soybeans settled at $8.81 3/4, up 4 1/2 cents; Mar 16 Soybean Meal settled at $272.50, up $4.00; Mar 16 Soybean Oil settled at 30.44, down 6 points. Corn: Corn closed with little change. Weekly export inspections came in at just shy of 600 TMT. Season to date inspections are down 21.5% from last year. Crude was back under pressure with a vengeance, which corn did it's best to ignore. Chinese New Year is just around the corner. The trade is pondering what it might do to address it's huge domestic corn surplus, and whether it might to something prior to the start of that (Feb 8)? India announced that it had bought 225,500 MT of Ukraine corn, just about as it is due to start harvesting its own crop - which suggests that the jungle drums are correct and that all is not well with that crop. 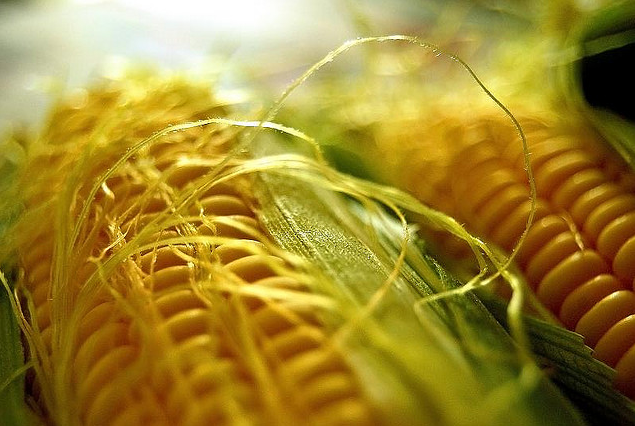 A Bloomberg survey estimated the South African corn crop at 6.1 MMT, down 39% on a year ago. The Brazilian government are said to be likely to soon begin auctioning off state-owned corn stocks in the south of the country as the weak real means that exports of the grain have been exceptional, and local stocks are therefore tight. Mar 16 Corn settled at $3.69 3/4, down 1/2 cent; May 16 Corn settled at $3.74 3/4, unchanged. Wheat: The wheat market closed firmer following the Russian suggestion that it might further tighten restrictive measures on grain exports. The Russian rouble was back under pressure today as crude oil resumed it's downwards trajectory. The Russian Ag Ministry said today that the country had exported 21.34 MMT of grains so far this season (to Jan 20), a 3% reduction on a year ago. That includes just under 16 MMT of wheat, 3.3 MMT of barley and 1.9 MMT of corn. Weekly US export inspections of 187,903 MT were dull. India said that it's wheat crop was planted on 29.2 million ha, down 4% on a year ago as growers were unable to catch up with reduced sowings earlier in the season due to adverse weather conditions. The Philippines said that they'd bought 100,000 MT of optional origin feed wheat, possibly Argentine material, at $177 C&F for Apr/Jun shipment. Tunisia said that they'd bought 92,000 MT of soft wheat and 50,000 MT of feed barley, both of optional origin for Apr/May shipment. May 16 CBOT Wheat settled at $4.86 3/4, up 6 1/2 cents; May 16 KCBT Wheat settled at $4.84 1/4, up 3 1/2 cents; May 16 MGEX Wheat settled at $5.05, up 2 cents. 25/01/16 -- EU grains began the week mostly on a positive note, although rapeseed was mixed not helped by crude oil being back under pressure. 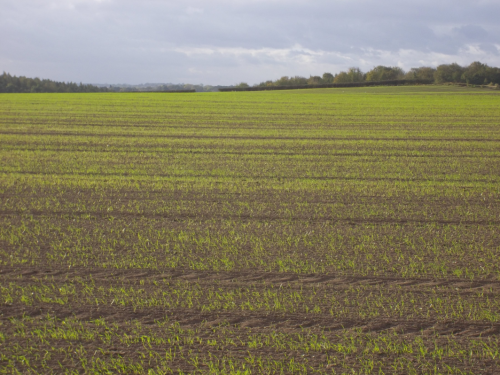 At the finish, Mar 16 London wheat was unchanged at GBP110.30/tonne, Mar 16 Paris wheat was up EUR2.75/tonne to EUR167.00/tonne, Mar 16 corn rose EUR0.25/tonne to EUR159.25/tonne and Feb 16 rapeseed was also up EUR0.25/tonne to EUR360.00/tonne. Fresh news was limited to start the week. One item of note reported on Reuters though was that the Russian Ag Ministry said that they "haven't ruled out a tightening of restrictive measures on grain exports". The current measures were introduced when the Russian rouble was trading well below the current level of around 80 against the greenback (it even hit an all time low 85 on Thursday), and the very notion of simply publicly admitting that the Russian currency might ever weaken to such an extent was incomprehensible. Not any more it would seem. Whilst on the one hand an export duty tied to the value of the RUB/USD means generally favourable domestic wheat price for Russian growers, it also punishes the livestock industry AND increases the amount of duty that needs to be paid when selling wheat abroad. Going forward it also potentially dramatically increases input costs for the 2016 crop. The duty problem is exacerbated by the fact that the exporter has no idea what the final amount payable will be when he sells the wheat, that is determined at the time of the actual shipment itself. The latest mutterings, whilst not halting Russian exports, does cast a fairly large cloud of uncertainty over them. Any changes to the tariff will therefore be watched with interest, to see if they appear designed at supporting the Russian livestock industry or the grain producers. The Russian Ag Ministry said today that the country had exported 21.34 MMT of grains so far this season (to Jan 20), a 3% reduction on a year ago. That includes just under 16 MMT of wheat, 3.3 MMT of barley and 1.9 MMT of corn. The Russian export watchdog (Rosselkhoznadzor) are using figures somewhat higher (admittedly for a slightly different period to Jan 25). They say that 1.36 MMT of grain has been exported so far this month, taking the season to date total to 24.3 MMT, including 16.9 MMT of wheat. Note though that the official Ministry numbers don't include exports to some "preferred" country's such as Kazakhstan. APK Inform say that Russian seaports exported 328.3 TMT of grains last week, up from 310.2 TMT the previous week, including 237.7 TMT of wheat, 75.5 TMT of corn and 15.1 TMT of barley. The same analyst says that Ukraine's seaports exported only 298 TMT of grains last week, down sharply from 478.6 TMT the previous week. Last week's volume comprised 136 TMT of wheat, 155.5 TMT of corn and 6.5 TMT of barley. On the international tender front, Tunisia said that they'd bought 92 TMT of soft wheat and 50 TMT of feed barley, both of optional origin for Apr/May shipment. India said that it had finalised the purchase of 255,500 MT of Ukraine corn. 22/01/16 -- Soycomplex: Beans closed a touch lower on the day and for the week. Weekly export sales totals are grinding seasonally lower, as you would expect, but are still decent enough. This week's bean sales of 985,100 MT for 2015/16 were down 13 percent from the previous week and 5 percent from the prior 4-week average. No surprises for guessing that China (717,900 MT) was the largest home. Exports of 1,575,100 MT were up 17 percent from the previous week and 5 percent from the prior 4-week average. The primary destinations were China (1,024,500 MT), Germany (76,000 MT), the United Kingdom (64,100 MT), South Korea (57,600 MT), Mexico (54,600 MT) and Japan (47,300 MT). Total commitments to all destinations is still behind last year by 9%. The weekly commitment of traders report has managed money reducing their net short position in beans to 25,773 contracts for the week through to Tuesday night. The market continues to ponder over US plantings for 2016. Informa had these at a new record 85.23 million acres versus a previous estimate at 84.54 million and 82.7 million a year ago earlier in the week. Yet Farm Futures Magazine indicate plantings down 500,000 acres at 82.2 million - quite a difference. Mar 16 Soybeans settled at $8.76 1/2, down 2 cents; May 16 Soybeans settled at $8.77 1/4, down 1 3/4 cents; Mar 16 Soybean Meal settled at $268.50, down $3.70; Mar 16 Soybean Oil settled at 30.50, up 56 points. For the week, Mar beans were down 2 1/2 cents, with Mar meal losing $2.20 and Mar oil adding 85 points. 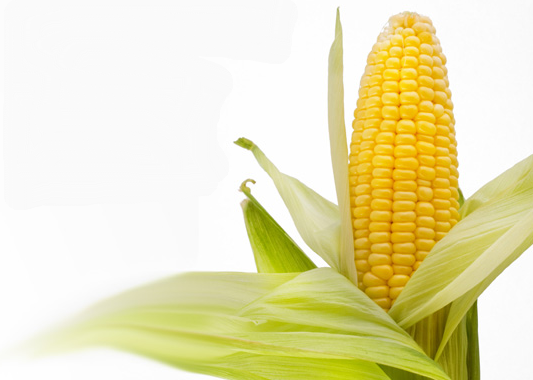 Corn: The corn market closed around 3 cents higher on the day. Weekly export sales were strong at 1,157,700 MT for 2015/16, being up 73 percent from the previous week and 91 percent from the prior 4-week average. Pre-report estimates had been for sales of 600,000 to 900,000 MT. Actual exports were average at 571,600 MT - down 10 percent from the previous week and 4 percent from the prior 4-week average. There were also sales of sales of 189,000 MT for 2016/17 reported for Mexico (180,000 MT) and Japan (9,000 MT). Despite this week's strong sales, total commitments for the season to date are 26% down on where they were this time last year. Farm Futures Magazine is indicating that US corn plantings this year might come in at around 88 million acres - the same as last year. Informa were at 88.869 million acres versus a previous estimate of 88.93 million earlier in the week. The USDA's Outlook Forum at the end of February gives us some early rough indications to go on, before the prospective plantings report comes out at the end of March. The weekly commitment of traders report shows managed money its net short position in corn by 28,621 contracts for the week through to Tuesday night. EU data shows that they authorised 941 TMT worth of corn import licences this week, taking the season to date total to 8.11 MMT - some 61% up compared with a year ago. Mar 16 Corn settled at $3.70 1/4, up 3 1/4 cents; May 16 Corn settled at $3.74 3/4, up 3 cents. For the week Mar 16 was 7 cents and May 16 added 7 1/4 cents. 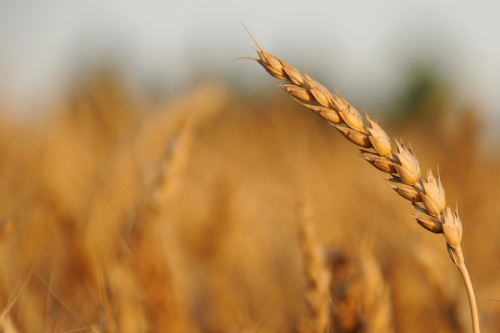 Wheat: The wheat market closed mixed on the day and with small gains for the week. Weekly export sales of 362,000 MT for delivery in marketing year 2015/16 were up 32 percent from the previous week and 33 percent from the prior 4-week average. They were also in line with modest trade expectations. US wheat sales continue to be spread among "the usual suspects": Mexico (100,100 MT), Japan (52,600 MT), the Philippines (50,100 MT), Guatemala (47,400 MT), Taiwan (40,400 MT), South Korea (34,900 MT) and Honduras (23,200 MT). Exports of 257,700 MT were down 53 percent from the previous week and 31 percent from the prior 4-week average and failed to impress. Managed money holds a slightly smaller net short in Chicago wheat that it did a week ago (-70,458 contracts). "A trough of low pressure has become entrenched in European Russia leading to an unstable environment with recurring rain and snow showers. Precipitation has been exceptionally heavy the past 2 weeks. 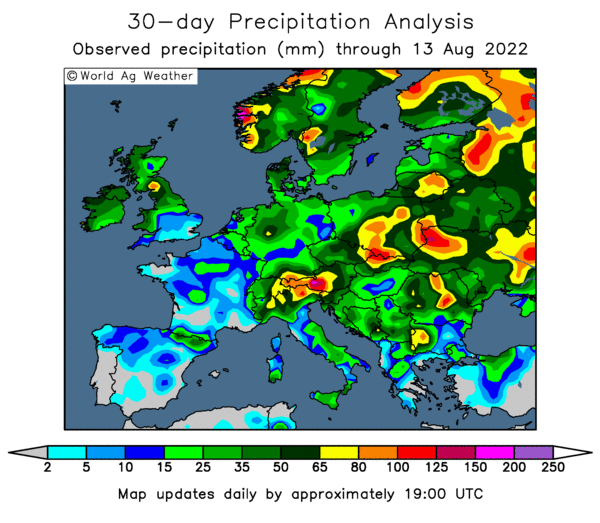 Russia’s winter grain belt has received 1.5-2.5 inches of precipitation, a mixture of rain and heavy wet snow. That’s way more than a month’s worth of precipitation, some 2-3 times the normal amount. 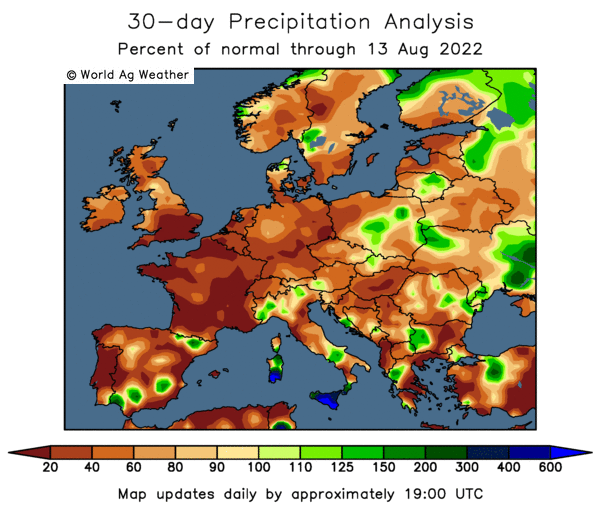 Ukraine has been even wetter receiving 4-6 times normal precipitation. Conditions have become too much of a good thing posing a flooding threat," say Martell Crop Projections. May 16 CBOT Wheat settled at $4.80 1/4, up 1/2 cent; May 16 KCBT Wheat settled at $4.80 3/4, down 1 cent; May 16 MGEX Wheat settled at $5.03, down 2 1/2 cents. For the week, Chicago wheat was up 6 1/2 cents, with Kansas adding 6 3/4 cents and Minneapolis gaining 5 3/4 cents.